Is Hearing Loss the Most Common Workplace Injury In the United States? According to CDC (Centers for Disease Control) statistics, 22,000,000 Americans are exposed to excessive workplace noise each year, making them at risk for permanent hearing loss. Workers in the mining, construction, fracking and manufacturing industries are the most likely to be affected. What may surprise you is that workers who experience only moderate noise levels were most likely to risk hearing loss. This begins to make sense when you consider that workers who are exposed to very high levels of daily noise are much more likely to hear hearing protection. Fortunately, OSHA (Occupational Safety and Health Administration) mandates employers to notify workers of risks and provide hearing tests to workers exposed to 85 db for eight hours/day. Additionally, OSHA requires employers to provide extensive training programs that help reduce the risk of hearing loss. 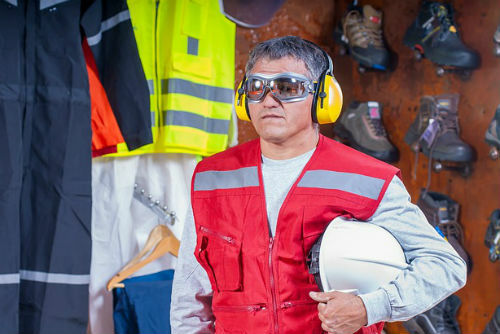 OSHA regulations stipulate that workers in the construction industry receive the same benefits if they are exposed to 90 decibels for eight hours per day. By comparison, an electric power saw generates 96 decibels of noise. Can the Department of Labor Help Prevent Workplace Hearing Loss? The Department of Labor has launched its ‘Hear and Now’ campaign to prevent hearing loss among workers by utilizing training and new technologies. Hear and Now will help utilize real-time detection systems that can alert workers when hearing protection cannot block noise effectively enough to prevent hearing loss. The program will work to design hearing devices that allow workers to hear important messages while drowning out harmful noise. It will also improve training programs for employers and workers. Ohio workers comp attorney Thomas Marchese will work to help you secure benefits for workplace injuries or disabilities.